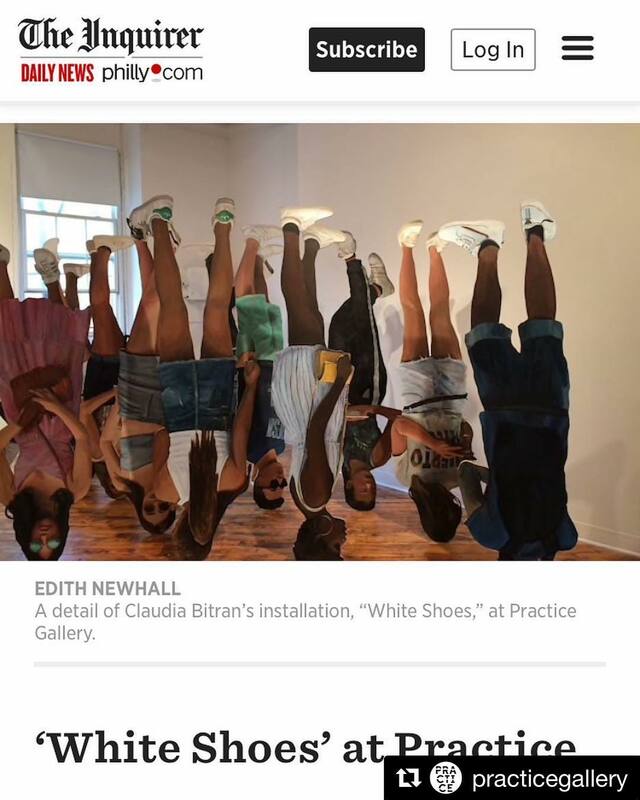 "White Shoes" by Claudia Bitran Installation at Practice Gallery. 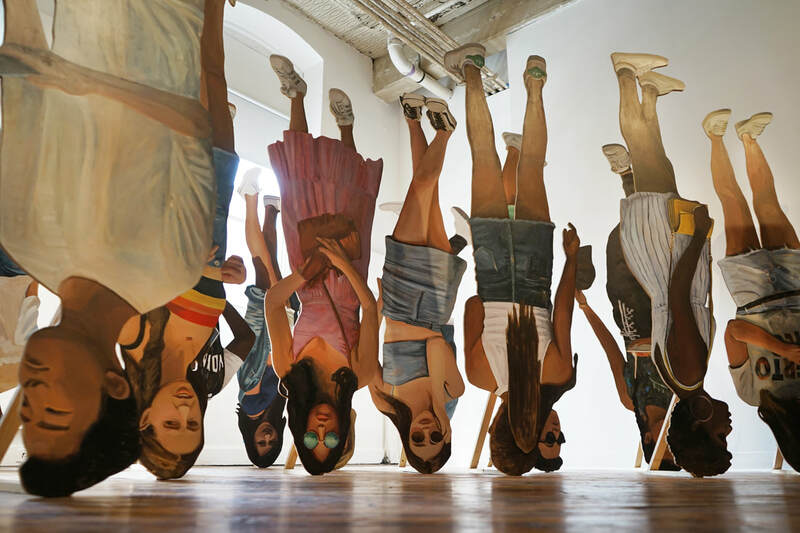 Latex and Acrylic on MDF, 2018.
a solo exhibition by Claudia Bitran. 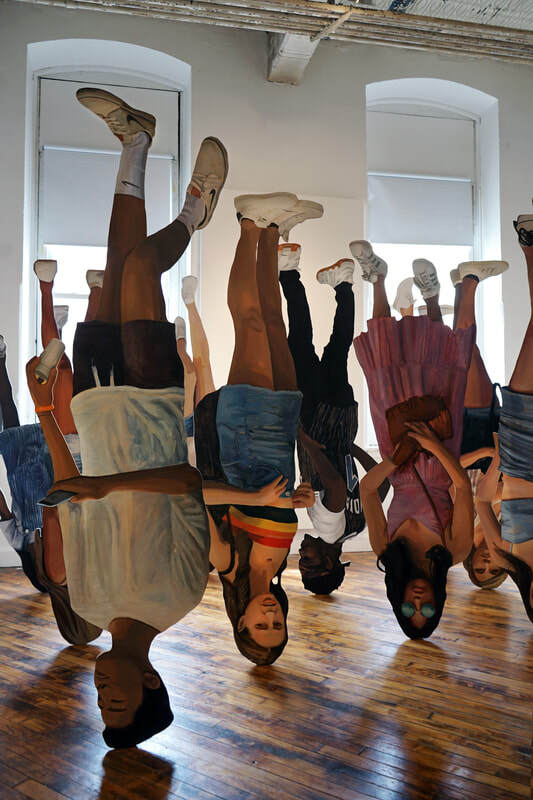 Undertaking a field study of the way bodies look when generating social media content, Bitran began photographing teenagers as they posed for one another in tourist areas of New York City. 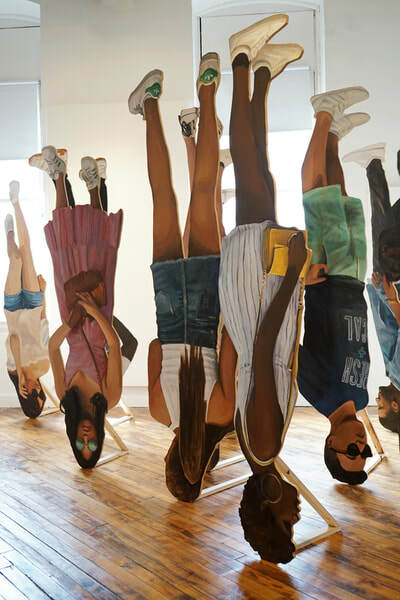 The results of this study raised a number of questions, such as: How has social media changed these teenagers’ experience of place? How has it changed the way they represent their bodies to themselves and to one another? And, most urgently: Why are they all wearing white shoes? 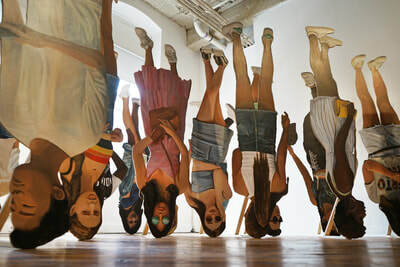 This interactive installation presents a room full of freestanding life-size paintings based on photographs from Bitran’s field study. 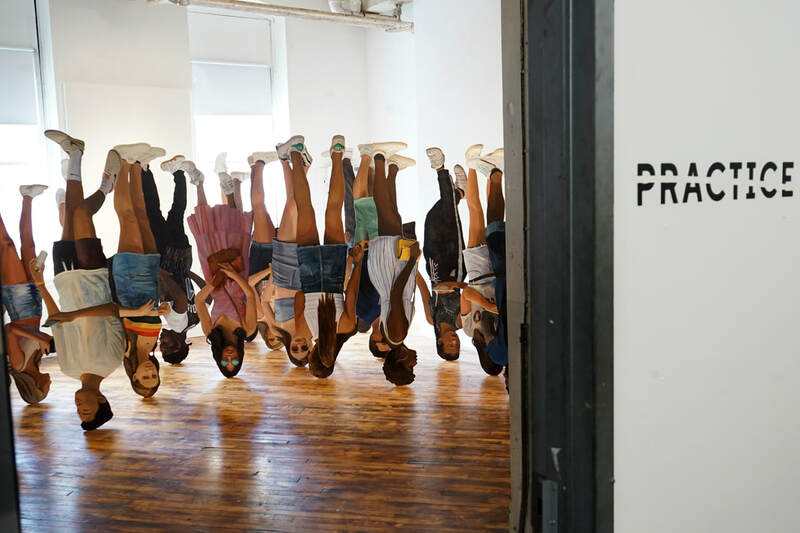 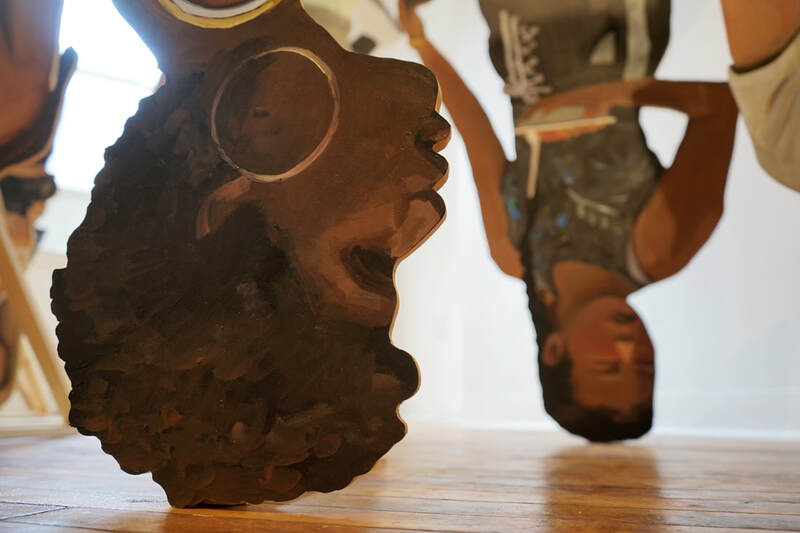 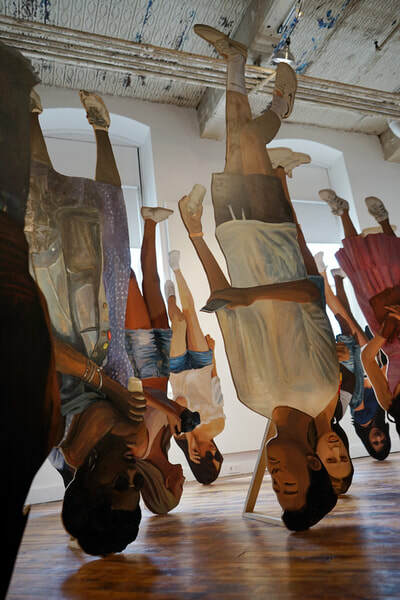 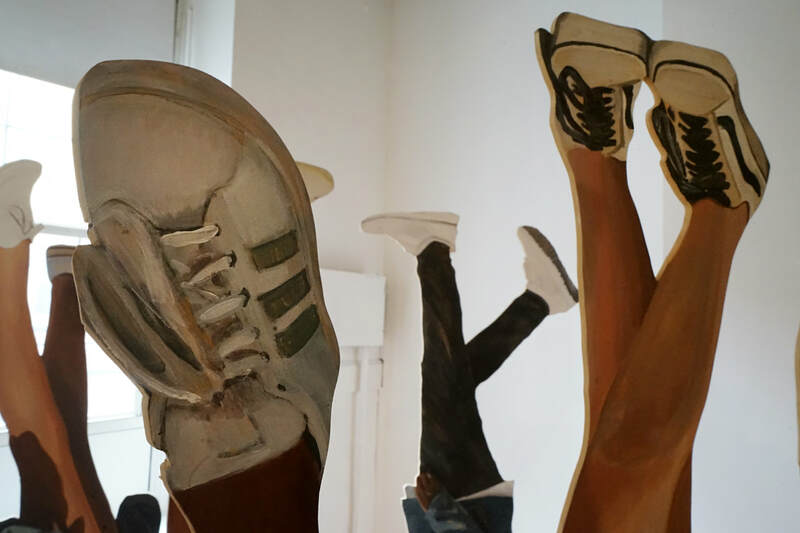 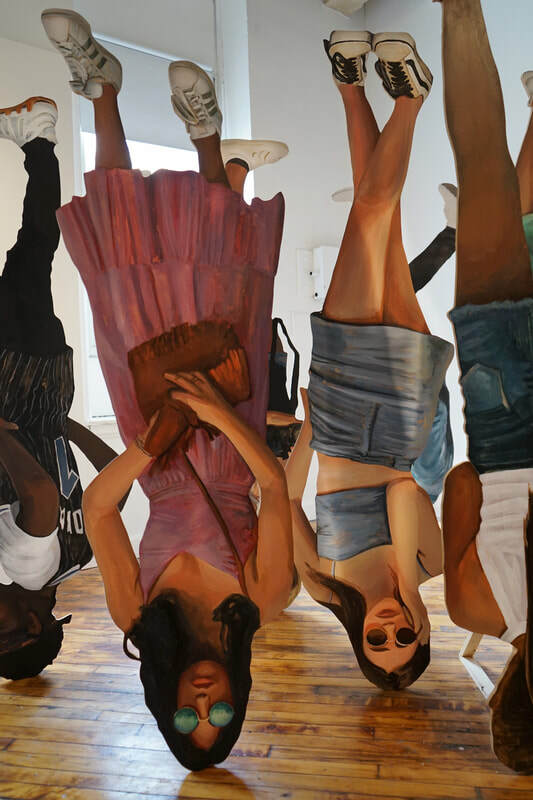 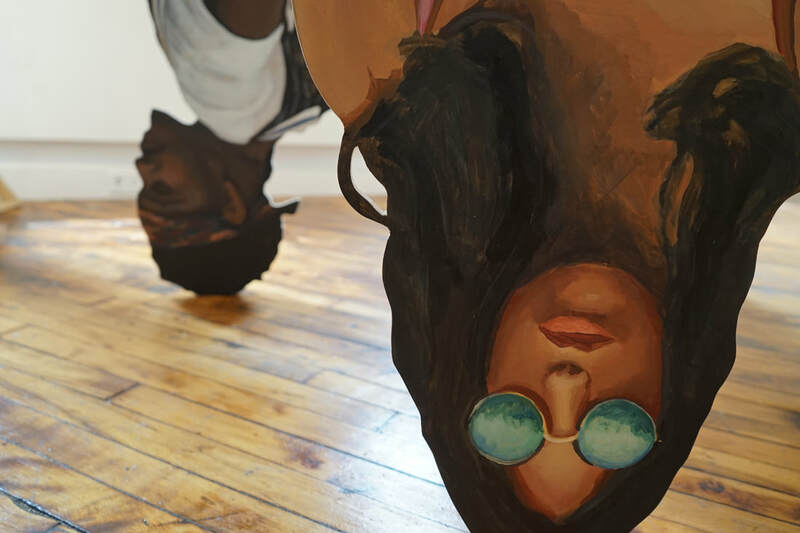 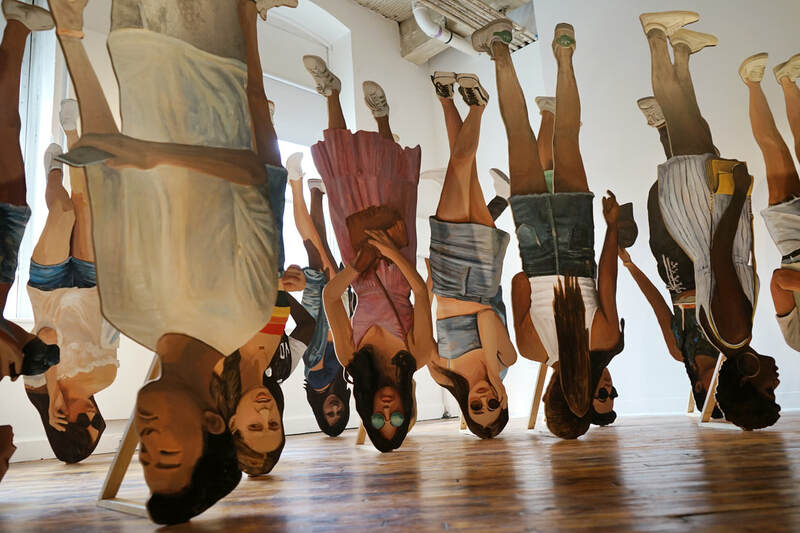 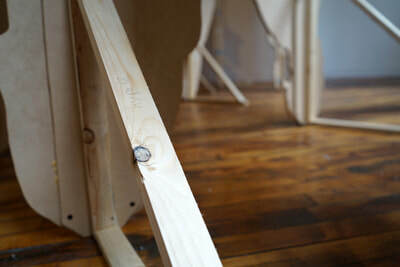 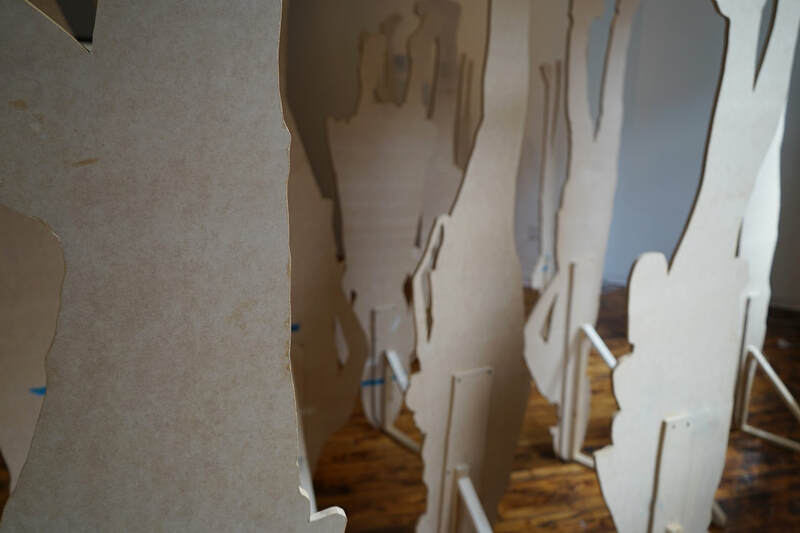 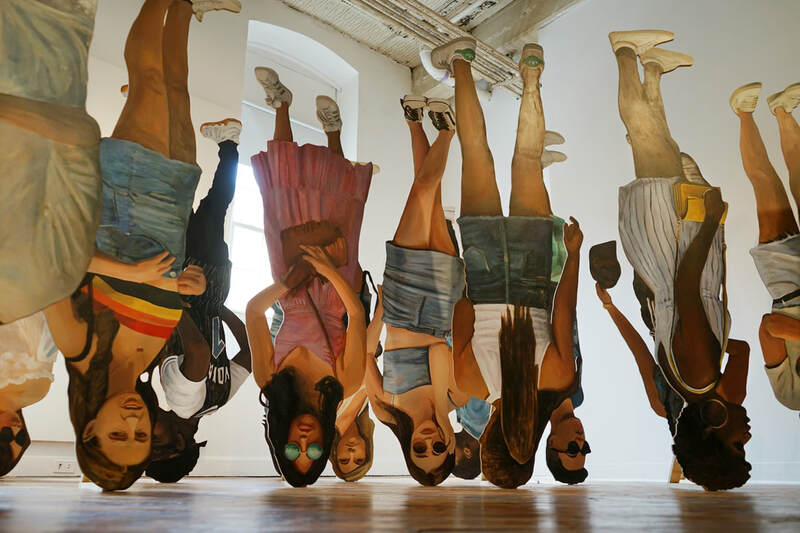 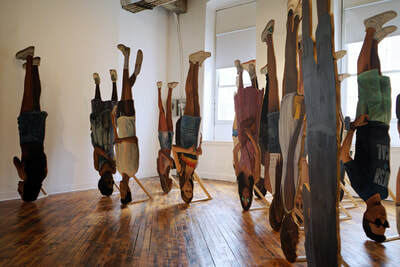 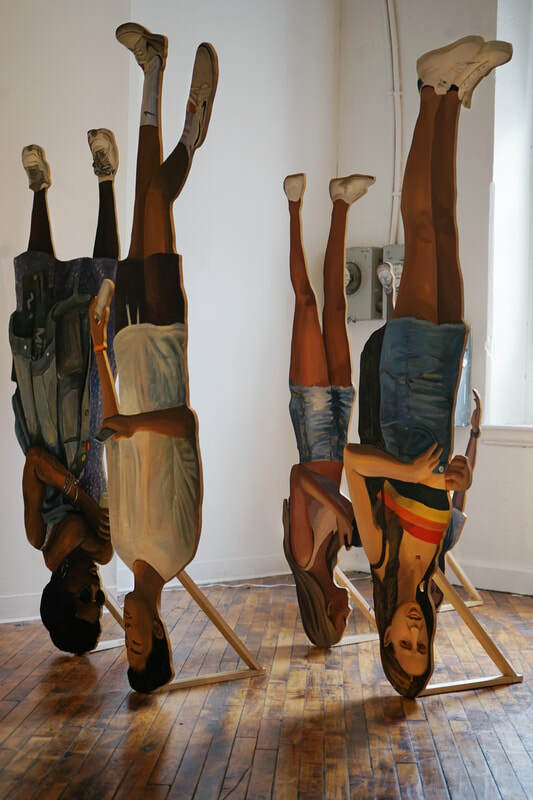 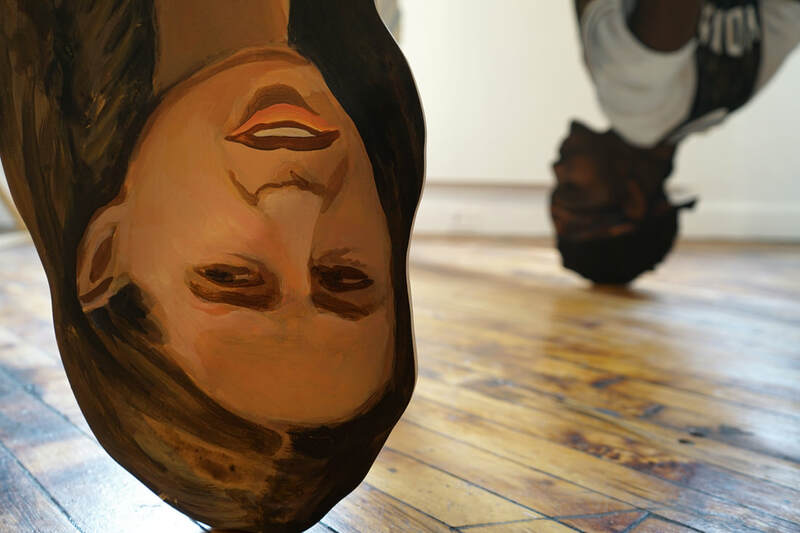 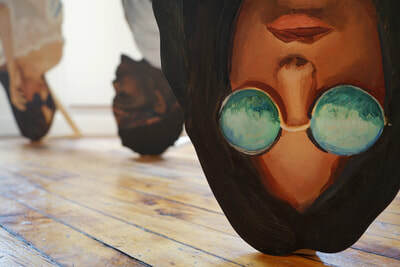 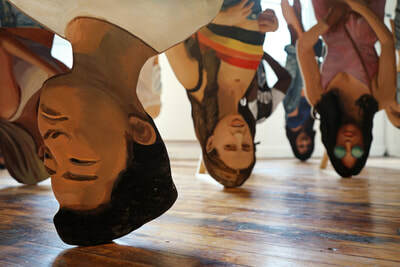 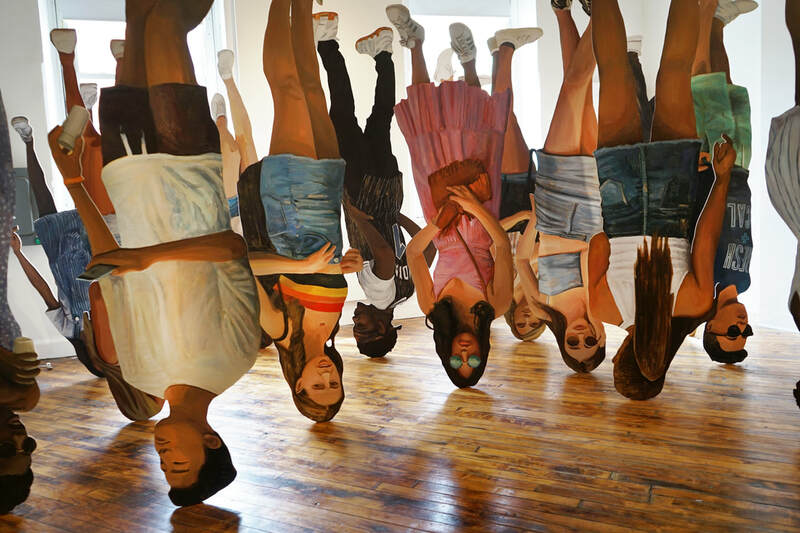 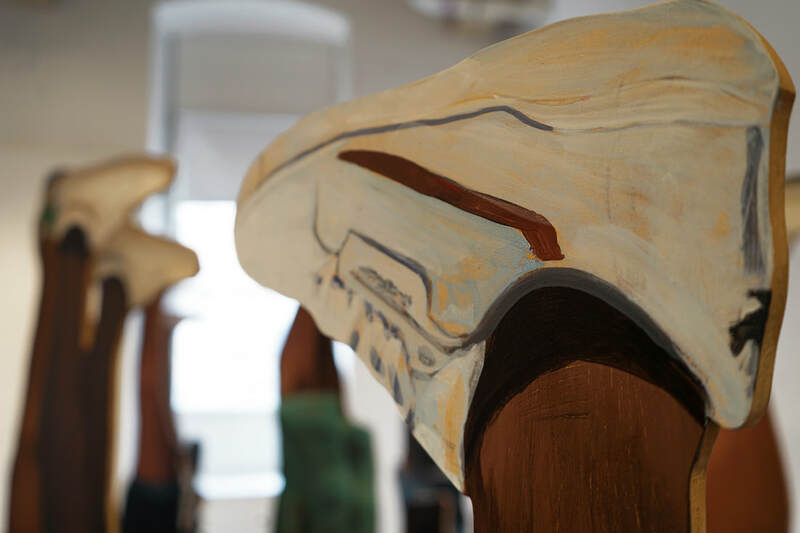 Flipped to be installed upside-down, the figures provide spectators with an eye-level view of their clean white shoes. 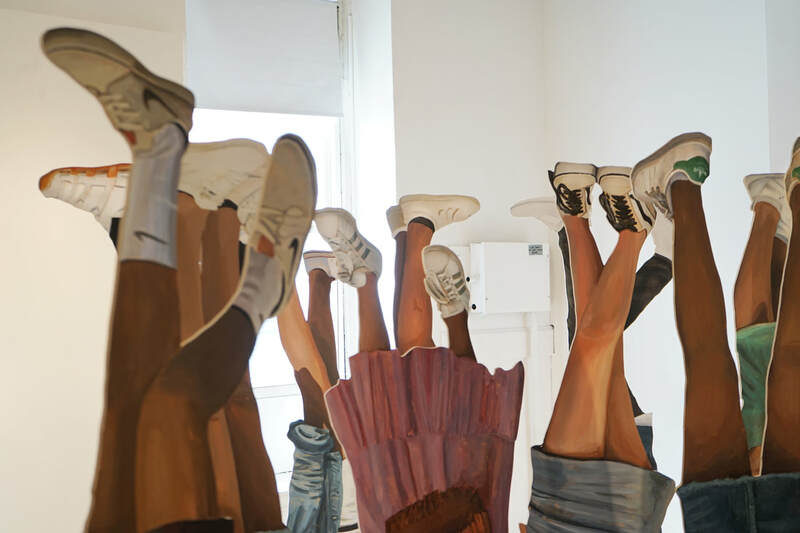 Like much of Bitran’s work, White Shoes stands somewhere between critique and devotional act, exploring the contradictory and seductive powers of capitalism by engaging and complicating the smooth transmission of its signs. 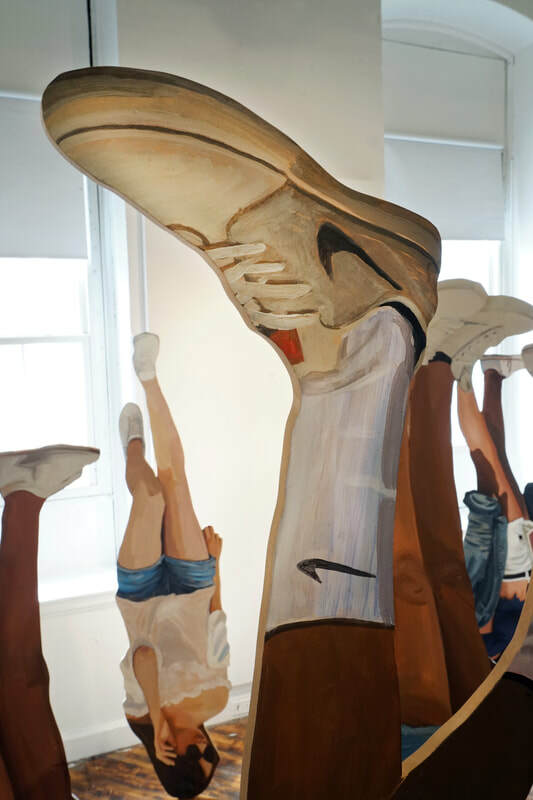 White Shoes will be on view at Practice Gallery, Philadelphia, between August 3 and September 1, 2018, with an opening on Friday, August 3 from 6 to 9pm.